This easy to live in house is at the end of a short, dead end track which ends at a the Weavers Way footpath, a quiet and beautiful track that runs through rural Norfolk. Walks from the door from this house are a real treat – easy and quiet and rich in birds and wildlife. There is no passing traffic and only 3 other houses in the lane which make it a wonderfully peaceful spot, much loved by regular guests. Hallway: Spacious downstairs hallway has stone floor throughout and plenty of room for coats, books and dog beds. Open tread wooden stairs (stair gate at bottom). Turn right and go through the door in the half glazed wall to the…. Kitchen/Dining area: Roomy and airy open plan space with fully fitted kitchen including 5 burner gas hob, electric oven, integrated fridge/freezer, dishwasher and microwave with plenty of cooking utensils. Dining area has settles and carver chairs around large pine table easily seating 6. Large windows run along one side of the dining area, letting lots of light in and with views out onto the garden. Living Room: Large, comfy room with low beams, plenty of oomfy sofa seating, feature fireplace with wood burning stove. TV with DVD player and Freeview. There is a selection of books and information about the area. On the way to the living room (and just opposite the kitchen) you pass the..
Shower/utility Room: This room has a large shower with sliding glass door and wall handles, toilet, sink, washing machine and storage space. Stone floor throughout. Gallery landing: At one end of the landing there is a gallery area with large feature window and a seating arrangement that can be turned into a small double bed to provide extra sleeping with screens for privacy. A lovely spot to sit and enjoy the sun and look out over garden and fields beyond through the big tree just outside the window. Wardrobe on the landing and separate airing cupboard with room for clothes airer. Just off the landing are…. Bedroom 1: Double bedroom with oak bed and hanging space. Views out onto lane and common land. Door to the bathroom making this room ensuite though the bathroom is shared. Bedroom 2: Twin room with zip and link bed which can also be made into a large double. Hanging and drawer space. Bathroom: Very well fitted out room with toilet, sink, bath and large power shower room in cobalt blue. Two lockable doors make it ensuite to bedroom 1 and very easily accessible from bedroom 2 and landing area. Downlighters and a pitch pine plank ceiling make this room very warm and atmospheric. Outside: The garden is mostly laid to grass and is fully fenced and gated. There are paddocks and woodland beyond. Horses can come on holiday too, plenty of grazing and stabling. Price and availability on application. Arrival time 4pm – Departure time 10am. Guests are asked NOT to smoke in Holmes House. All the main supermarkets deliver to Holmes House, so if you want to arrange deliveries, please ensure you will be there to receive it. For very local food, there is a wonderful local food shop in Stalham – Truly Local – run as a not for profit shop selling items from within a 35 mile radius. They would be pleased to put together a starter box of groceries for your arrival. Let us know if this is something you want to do. Good selection of cooking/serving equipment. All place settings, glasses, table linen. Tea towels. Information on places to visit. A selection of maps and books. Travel cot and highchair if required. Large, medium or small dog crate if required. “What an amazing holiday! We loved our quiet idyllic dream home away from home, the dogs and cats absolutely love it here. Had wonderful weather, beach trips, owls, boating, seeing the seals, eating in the Ingham Swan and plenty of time chilling out in front of the fire. Or – From Stalham. From the A149 which bypasses Stalham take the road signposted to Bacton/Happisburgh (Stepping Stone Lane). Turn left onto the B1159 and take the first left again, just after SAM business premises. Stay on this small, tree lined road until you come out into open farmland. Turn left at the cross roads. (no through road). Holmes House is the third property along this lane. Some of the many, many comments from our guestbook - lots of our lovely guests here come back year after year! Our third visit and just as welcoming. A lovely week's weather with lots of visits to Sea Palling and the superb, dog friendly beach. Took the dogs on the Bure Valley Railway and then to Cromer. Peaceful and comfortable stay with everything we needed in the house - thank you! Enjoyed walking and cycling, especially on Weavers Way, Canoeing on Hickling Broad, visit to Ranworth (church with tower, cafe and nature reserve), pub lunches at Hickling (Greyhound) and Lessingham (Star Inn) and a day in Cromer too! Third stay at Caz's lovely property - Weavers Way walks enough for us and our poodles to explore our favourite area. Wonderful crabs to order from Truly Local in Stalham. Thanks Caz!! Wonderful week at our favourite place to be! Jackson's first holiday and lots of good food and lovely walks and snuggling by the fire. Such a restful break. Lots of reading and dog walking done. Thank you for all the little treats. Tess heads straight for the kitchen on arrival for a Nero's Kitchen biscuit! Wonderful break, home from home. Thank you. Back next year for visit number 4. Bacton woods every year, Horsey beach too. Truly local small store in Stalham is a must, cakes are to die for. We had a lovely stay. Weather was cold and Windy but it didn't rain. Lunch at Byfords Holt was lovely – great food. House was cosy and warm, dogs were relaxed. Very warm welcome from Caz, thanks for being so helpful in our momentary crisis when we arrived, it was so much appreciated. Great host! Lovely cottage and garden. Thanks Caz for making us feel so welcome. Enjoyed our Weavers Why and Happisburgh beach walks, also the fish ad chips at Broadlands, Stalham – Highly recommended. Our Second visit to Holmes House, great locality on Weaver's Way. Lovely Garden for all of our dogs to play in. Went to Bacton Woods. Beaches at Happisburgh and Winterton. All in a very relaxing week. Second visit and it was just like coming home but even better! Lovely Walks on the doorstep make this a perfect dog friendly place to visit. Lovely Welcome package for all of us, thanks. Can recommend Poppylands Café at Horsey. First time to Holmes House, won't be the last. Nice and quiet well-appointed house. Our dogs loved garden, Weavers Way, Sea Palling and Yarmouth. Thanks to Caz for the welcome pack and chat. Another super week at Holmes House. It's just home from home. Great weather. The dogs loved their walks: Weavers Way, Sea Palling and Happisbough beaches. Felbrigg Hall – lovely walk through the woods. Enjoyed the independent shops in Holt. Looking forward to returning to Holmes House. Thanks. A wonderful week at Holmes House. Thank you so much for our welcome pack. We have been so lucky with the weather, been on so many fab beaches and amazing walks. Thank you. A fantastic chilled week, just what we needed. Caz was great telling what we needed to know. Lovely house and dog proof garden. Totally a house for dogs, would recommend to everybody. Thanks Caz. Another lovely week in cosy Holmes House. Plenty of space, very cosy and comfortable. Dogs had a great time on the beach at Happisburgh and Mundsley. Had a lovely week weather was good. Nice and cosy log fire was hot and cosy. Caz keeps the house impeccable, everything here you need. Second visit here. We will be back. 3 dogs say thanks you. Lovely homely, dog friendly cottage and are one of the most atmospheric Christmases ever spent!! THANK YOU! Another lovely month in this homely, comfortable, warm house. Thank you Caz. Thank you for the dog proof garden!! The dogs love it. We look forward to our return next year. Another wonderful holiday here, lots of relaxing by the fire, good food, long walks, beach and woods. White House Inn for Sunday roast, movies and popcorn. Thank you Caz and Sue, can;t wait to return next time with a little person! Can't recommend highly enough. Another lovely peaceful break at Holmes House, revisiting familiar places in the neighbourhood. How lovely to stay in a cottage that is truly doggy friendly (not just doggy tolerant) Lovely walks and bike rides on the door step. The Kids and dogs loved it! We will share the cottage details with www.ukgsr.co.uk (German Shepherd Rescue) who are always looking for dog friendly places. Thank you, Caz! Another wonderful week for us and the dogs. Visited Vicarage Gardens, saw plenty of seals at Horsey. Lovely walk from Horsey to Winterton and breakfast at Winterton café. Our boys loved the dog biscuits as much as we enjoyed cake, jam and lovely bread. Can recommend a visit to Happisburgh owls, this was a birthday present for Pete from Gill and Dave (here last week) A wonderful experience if you love owls! See you next year. Wonderful truely dog friendly house. Excellent location for exploring Norfolk. Dogs enjoyed the garden and Weavers Way. Seals were wonderful. Thanks. We have had a lovely peaceful and relaxing week! House is very comfortable and we will be back again! A real home from home, everything you could need. Lovely week. Explored a few more places not visited before and managed to relax more and enjoy the garden and beach because of the glorious weather! So hot! Now back to normality counting the days to the next holiday here. Another great week and astonishing holiday with lovely weather! Loads of walking and plenty of good food. Alan will be glad of a rest next week. Our second visit to Holmes House and 10th Norfolk. We had a lovely time, the weather was just ideal for us to do all we wanted. Nice beach walks and lots of villages to explore and plenty of countryside walks. Welcome pack on arrival was much appreciated, the 'boys' just loved the god biscuits. Can strongly recommend a visit to The Star at Lessingham and to East Ruston Vicarage Gardens. Our second stay at Holmes House and as delightful as ever! Thank you Caz for a wonderful relaxing stay - see you again! WOW - What a beautiful house - feels like there's been a lot of love here. Thanks Caz for all your help, everything we could need was here. Will definitley come again! Had a fantastic time! Enjoys the beach at Mundsley and The Ship Inn. Fantastic day out to Felbrigg Hall and Sheringham Park. Perfect location on Weavers Way. We have thoroughly enjoyed our first visit to Holmes House. It is a fantastic house in an extremely peaceful setting. We loved just relaxing in the huge garden and the walks from the door. Lovely welcome on arrival and a very tasty basket of goodies too! Blickling Hall and pub worth a visit - good walk and food. Planning a return visit to Holmes House. Thank you! Our 2nd visit to the fabulous Holmes House. Fantastic in every way Caz! Had some fab trips to the beach (Horsey, Cart Gap, Winterton and Happisburgh). Can't recommend the following pubs enough.. Nelsons Head, Greyhound, Hill House Inn... Lovely, lovely food... Huge portions... PERFECT relaxing holiday a real home from home!! We have thoroughly enjoyed our first visit to Holmes House (our 5th ERC stay). It is a fantastic house in an extremely peaceful setting. We loved just relaxing in the huge garden and the walks from the door. Lovely welcome on arrival and very tasty basket of goodies too! Blickling Hall and pub worth a visit - good walk and food. Planning a return vist to Holmes House. Our 2nd visit to the fabulous Holmes House. Fantastic in everyway Caz! Had some fab trips to the beach (Horsey, Cart Gap, Winterton & Happisburgh). Can't recommend the following pubs enough... Nelsons Head at Horsey, Greyhound at Hickling and Hill House Inn at Happisburgh... lovely, lovely food... huge portions... PERFECT relaxing holiday a real home from home. Had a fantastic time! Enjoyed the beach at Mundesley and The Ship Inn. Fantastic day out to Felbrigg Hall and Sheringham Park. Perfect location on Weavers Way. Well this is our 3rd year here and Yet again had a wonderful time! Weather a little to hot but still enjoyed our time here. Had a lovely week at Holmes House. Comfortable house and the dogs loved the garden and the beach at Cat Gap. Thanks! Lovely house fantastic time. House very clean. Dogs loved the garden, Weavers Way and the beaches. We will be back. Very comfy, well appointed cottage. Lovely area and plenty to see and do. Secure garden superb for the dogs, lovely food at The Star. Weather was kind to is this week Thank you. Lovely, lovely stay in spite of the weather. Dogs particularly enjoyed the garden and so did our son for football. Nice house and owner. Thank you for the comforts!! Fourth time to this part of Norfolk but our first visit to Holmes House. So much space. Everything we needed (and more) and the perfect location. Our three dogs are going home happy, but exhausted! Thank you for such a warm welcome and the delicious goodies! Wonderful stay we all loved it. 2nd visit to Holmes House booked for next May. 2 weeks gone already!! Horsey beach for seals and Bacton woods are our favourite. Cromer's really dog friendly, loved it. Weavers Way on doorstep is a safe lovely walk. Garden really safe! Enjoy! Forth time back to area and second back to Holmes. Can't beat the size and layout of accommodation for us. Lots of walks on both Happiesburgh and Sea Palling beach. The Ship Inn is a nice pub and lovely meal. Caz is so friendly and helpful, just like Sue. Thats why we are return users of east Ruston Cottages! Had a day without doggies at Wroxam Barns for the 'girls' and for a 7 year old its a good day out feeding lambs and feeding greedy goats. Thank you! Had a wonderful week on our return visit to East Ruston. Fabulous house with a lovely feel to it. tasty goodies on arrival too, thank you. Discovered Winterton Beach and sand dunes - best beach for dogs and great food in the cafe for us. Great food at The Star as usual and very good at the Greyhound at Hickling. It's great to stay somewhere where the dogs are welcomed, not tolerated! we will be back in September! A lovely holiday was had by all. Humans and dogs alike! Really love the house, especially the log burner. The dogs enjoyed the garden and the wonderful walks on the beach. Thank you for the warm welcome and the goodies left for us and the dogs. We will be back!! A wonderful week! The dogs loved the freedom of the enclosed garden and their walks along Weavers Way and the beaches at Happisburgh and Wells Next The Sea. We enjoyed the warmth of Holmes House and cosy evenings by the fire. Walks at Felbrigg and Blickling Hall were followed by coffee and cake in the tearooms. Holt was a nice place to wander around independent shops. We had a great afternoon at North Norfolk Railway. 4 dogs on a steam train! The Star Inn at Lessingham is well worth a visit, great food, good beer and a friendly atmosphere. Holmes House is a great place for a dog friendly holiday. Thank you. Another lovely week at Holmes House. Had a nice long dog walk at Felbrigg Hall and a delicious lunch at Byfords in Holt. Can't believe its nearly over already, but Im sure Ill be back soon. Thank you for all of your help Caz. Another wonderful week at our second home!! Lovely weather, beach walks, trip to Norwich, seen the seals, lots of good food, Ingham Swan, Lessingham Star, Soyokaze, fish and chips and naughty prosecco and gin in the evenings by the open fire - heaven. Thanks again Caz, see you in October, much love!! Really good week. Weather was kind and managed to do so many things. Still a few places to visit on our list which hopefully we will do in May! Thank you Caz for another wonderful week at Holmes House! This time we tried a takeaway from 'The Thai Way' in Hoveton – absolutely fantastic! Highly recommend it. Lots of lovely walks along Weavers Way. See you in October! Fab week at Holmes House. Caz an excellent host. Garden adored by the boys and great to have Weavers Way on the doorstep. Weather changeable but managed the beach every day – loved the seals at Waxham. Dont want to leave! Lovely quiet and relaxing break – just what we needed. Cottage very well equipped and garden wonderful for Chester. Caz was a great host. Thank you. Had a really relaxing time. Dogs loved the garden and all the walks. Will come back asap. Thank you. Another wonderful holiday at Holmes House. Weather glorious, walks and beaches fantastic – Cant wait for next year. Our second visit here. Good weather and lots of enjoyable places to go to with the dogs – especially the beaches at Sea Palling and Winterton. What a wonderful cottage in an amazing setting! It was so relaxing knowing the dogs were safe in the garden. We really did not want to leave. Another relaxing week at Holmes House. Thank you Caz for providing the perfect cottage. Lovely home in a fantastic location; the dogs loved the garden and were fascinated by the horses in the paddock! Plenty of walking in Bacton woods and Waxham beach. Good food at the Swan Ingham and the Star, Lessingham. Already booked to come again. Another perfect week in sunny Norfolk. Booked for next time before we left. If we can’t live here at Holmes House we’ll just have to visit as much as possible. Thanks to Caz and Sue for the lovely stay, we have 3 very tired doggies and we feel so relaxed. If I could score this holiday it would be 19/10! The warmest of welcomes! Weather cold and cloudy but fine and glorious for the beach. Visited Winterton on recommendation by Caz, wonderful beach! Food at the Dune Café was lovely, dogs were knackered. Would love to come again to this lovely house and area. The dogs loved the garden, so much bigger than ours. Lovely beaches within easy reach of countryside. Our first visit - but a truly lovely welcome. The goodies Caz provided just great. Just about everything could wish for here. A great Christmas break! Second visit and we loved it just as much. Caz made it all very welcoming. Super walks, made special by seeing the seals near Waxham. Loved the wecome pack! Perfect relaxing holiday. Just what we all needed!! We move in tomorrow! Thank you Caz. Wonderful, peaceful, quiet holiday. Lovely welcome by Caz. Great cottage, loved it so much so we've booked to come back in Feb. See you then. A wonderful quiet week away from home. A perfect location to switch off and relax. Love the area, superb walks, beautiful beaches and amazing dog friendly pubs! Looking for a dog friendly holiday cottage in Norfolk? “Our first time at Hidden Gem but not East Ruston Cottages. The cottage is absolutely wonderful and has a very homely feel. We have had a really relaxing holiday in a stunning location and Hidden Gem is like a home from home. The beach and dunes are beautiful and the garden has been perfect for our two hounds! A very dog friendly holiday cottage. All the extra little touches and the welcome gifts have been much appreciated! We will definitely be back!! " “Our first stay at Red Roofs and we will definately be returning. Beautiful house and location. 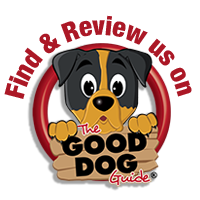 Garden is perfect for the dogs, house is well equipped and the welcome pack is a great gesture. We will be back next year ..... just hope you aren't fully booked!" “Thank you so much for allowing us to be your first guests in Corner Cottage. My first impression was "WOW!". The cottage is amazing, you have thought of everything (even supplied fantastic weather!). The decoration is lovely, beds so comfortable. It was so nice to be able to bring the dogs so they could have a holiday with us and experience the beach for the first time." We are members of this organisation, The Holiday Home Association (formerly EASCO - English Association of Self Catering Operators). Book with the confidence that you are using a bona fide and reputable business that has committed to the HHA Code of Practice. In the unlikely event of a complaint that cannot be resolved with us, you can use the HHA Dispute Resolution Service that provides for low-cost arbitration.